Coconut oil not only provides humans silky hair and smooth skin, it can also be used to groom your pet’s fur. Melt a small amount of Dr. Goerg Coconut Oil in your hands and gently stroke your dog’s or cat’s coat. That way even dry and shaggy fur will turn into a sleek and easily manageable coat. Massage a small amount of coconut oil into your pet’s skin and boost their body’s defences against skin diseases and ease the effects of summer eczema in horses. Daily massages with Dr. Goerg Premium Coconut Oil will reduce tick bites in the long run and provide your pet with a delightfully pleasant scent. Fleas and mites will lose their appetite when coconut oil joins the party. In contrast to chemical solutions, coconut oil is not harmful in case your pet decides to lick it off during grooming. 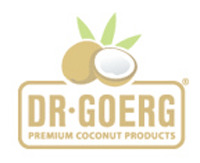 Premium quality Dr. Goerg Coconut Oil can almost be called a miracle cure in many ways. By using coconut oil, small cuts, a common result of wild scuffles, will heal faster and are less likely to inflame. This is due to the high contents of lauric acid which has antimicrobial and antiviral effects. A small amount of coconut oil mixed with your pet’s food will boost body defences and will support a good and healthy condition. The use of coconut oil is by no means restricted to dogs, cats and horses. Even caged birds and pigeons enjoy this healthy snack. Give it a try and prepare to be amazed by the qualities of Dr. Goerg Premium Organic Coconut Oil as well as its unsurpassable taste!